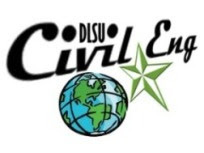 Dr. Victor Pulmano will be a visiting professor at the Department of Civil Engineering, DLSU-Manila during the first term SY 2009-2010 under the Balik Scientist Program (BSP) of the Department of Science and Technology (DOST). Dr. Pulmano's period of visit is 90 days (3 months beginning May 25, 2009). Dr. Pulmano, a resident of Australia and retired professor at the University of New South Wales in Sydney, is an acknowledged expert in the field of Structural Engineering particularly in structural and finite element analysis. Dr. Pulmano is expected to give lectures on graduate/undergraduate courses on Matrix Theory of Structures and Engineering Mechanics. He will be involved in the preparation of research proposals and seminar type lecture presentation on the specialized topics such as Finite Element Modeling and Analysis. Photo: Dr. Vic Pulmano, Engr. 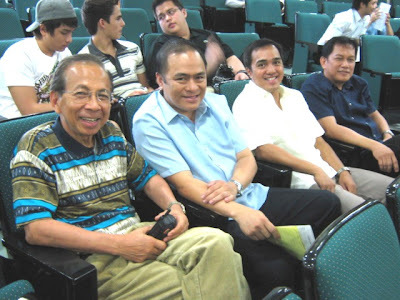 Ronnie Gallardo, Dr. Jonathan Dungca and Dr. Bernard Lejano during the CE Frosh Convocation last May 30, 2009. 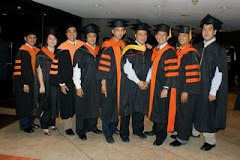 On April 16, 2009 two Civil Engineer Alumni Engr. Hadji Peejay Aranda (CIV-HWR 97) and Engr Michael David (CIV-CTM 92 ) took their oath of office as Directors in the PICE-Tarlac Chapter. Engr. Michael David also served as the Chapter President in 2006-2007. Another Lasallian alumnus, Dr. Jumar Valdez (EdD 2006) is the present IPP. Engr. 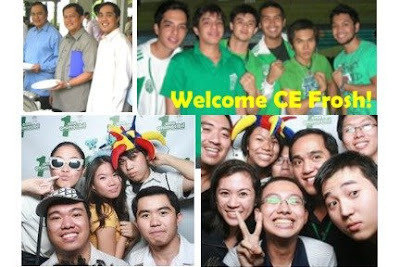 Aranda is in-charge for the Chapter CPE matters and Engr David on the other hand is in charge of the community affairs. Both are very excited to contribute their time and talents for the good of the organization. Engr. Aranda said that the present set of officers will be serving in a very auspicious time. 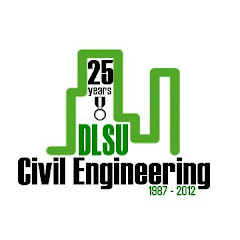 "It was sad in a way, because it was the late PICE president Aquino who chose this date for induction and yet a week later he was shot.."
DLSU – Manila May 2009 CE Board Exam Passers and New Civil Engineers! If your name was not included in this list, please inform us. Meanwhile, the MS thesis on Optimal Design of RC Frames Considering Seismic Provisions Using Genetic Algorithms by Alden Paul Balili and Andres Winston C. Oreta was also presented. Dr. Oreta presented his URCO research on Understanding Earthquakes and Disasters”: Photo-Video Presentations for Public Awareness and Education.